The bodies of eight people have been found at crash site of the Russian Emergencies Ministry's Il-76 aircraft that went missing on Friday morning in Russia's Irkutsk Region, Deputy head of the Russian Emergencies Ministry Leonid Belyaev said Sunday. 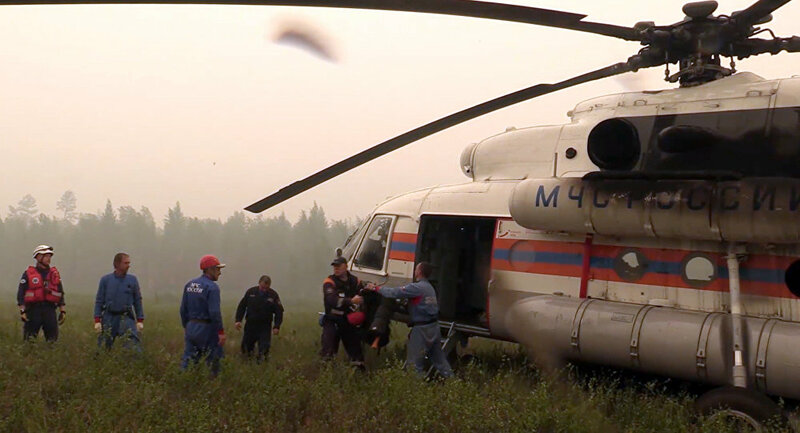 MOSCOW (Sputnik) – On Friday, an Il-76 aircraft working in territories stricken by forest fires in Russia's Irkutsk Region failed to report back to rescuers at the scheduled time. "The two black boxes and eight bodies were found at the scene of the accident," Belyaev said at the meeting convened by Emergency Minister Vladimir Puchkov, which was aired by the Russia-24 channel. While initial reports on the numbers of the crew varied between nine and 11 people, the Emergencies Ministry later confirmed that there were 10 people on board. The search for the remaining bodies is to continue during the night.